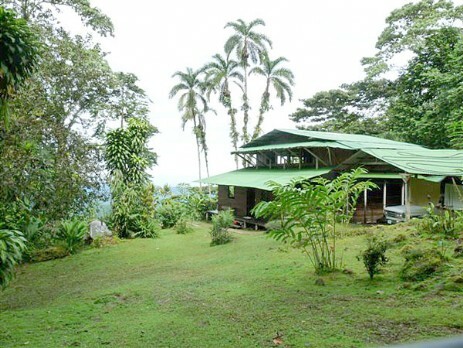 Costa Rica Rainforest Lodge Mountain Retreat Vacation Rental. Cerro Nara Rainforest Lodge-One Week Rental Package. The lodge is located 14 miles North East of Quepos, central west coast, Costa Rica, and four miles above the town of Londres. Situated hight on the Mountain Cerro Nara with massive Coastal and Pacific ocean views. 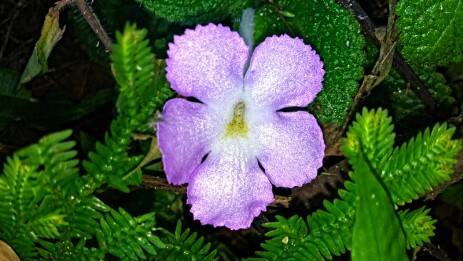 It boast 1,000 qd43w or pristine primary and secondary rainforest. Privately owned by Bob, Buckter, from San Francisco, CA. It has been his mission to preserve, protect, enhance, maintain, restore, and plant thousands of trees and plants since 1994. With an annual rainfall of 400 inches. It has many waerfalls, springs, and creeks. Cerro Nara is one of the wettest places in the world. The lodge sits at 2,800 ft and has a cool average temperature of 70ºF with 90º humidity. It is powered by hidro electricityduring rainy season (April - December) and solar during dry season (December - March). It has two floors: Four bedrooms, kitchen, bath, and dining room downstrairs and a large viewing from stereo upstairs. A natural spring from above supplies clean fresh water to the house and a nearby bathing pond, is available during rainy season. 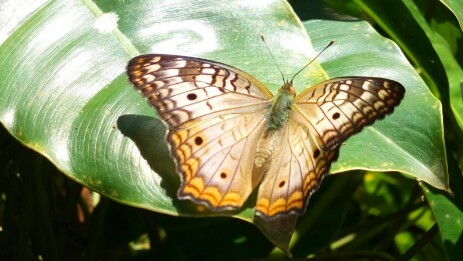 Ecotourism is available at Finca Cerro Nara. Simple "Tico" style architecture sustainably built mostly from local hardwoods and bamboos. A quiet hydroelectric system from a nearby waterfall powers the house with plugs and lights in all rooms, refrigerator, and hot water shower. Rustic four bedroom, one large bath can easily accommodate ten or more people. Large upstairs features Sony surround stereo, television, and massive rainforest and coastal views from a deck facing southwest. Naturally filtered water from a nearby spring supplies endless drinking water and nearby refreshing bathing pond at 70F. Until now, Cerro Nara has not been open to the public and is absolutely pristine. Extremely safe and secure. Cell phone available. For a truly great rainforest experience. The week includes your professional care takers to cook for you and clean the house. On the first day we can take you shopping where you can buy fresh food for the week. 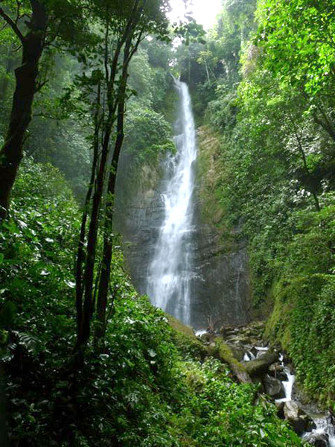 A guide to take you around the property to see fantastic waterfalls, hikes through primary rainforest, great views, see trees, plants, butterflies, birds, and wildlife. Can easily accommodate ten or more people. We can buy your food and cook it for you. For groups of 5 to 12+ people: $2,300. US. and $1,800 for 1 to 4 people. From the Capital city of San Jose, fly or drive to nearby Quepos. Fly: Sansa Air 20 minute flight from San Jose Airport to Quepos Airport. Drive: Rent your own car and see the countryside. Takes about three hours to Quepos. Major hospital nearby. From Quepos: We can pick you up and bring you to the Lodge in 45 minutes. The last part requires four wheel drive on unpaved terrain. The week includes your professional care takers to cook for you and clean the house. On the first day we can take you shopping where you can buy fresh food for the week. One Toyota Land Cruiser four wheel drive for your use. Overnight in Rancho Tinamu, located one hour deeper in the rainforest, in the tiny village of San Isidro de Dota to visit a Costa Rican Family living sustainably. They will take you to spectacular caves and waterfalls.